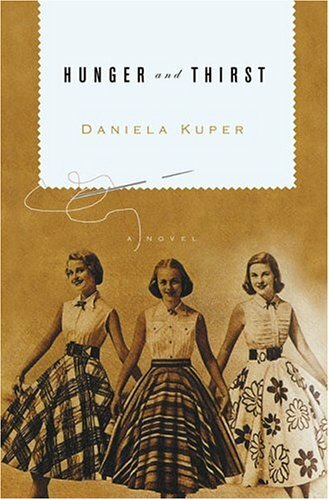 Daniela Kuper is currently at work on her second novel. Hunger and Thirst chronicles the rise and fall of the Trouts as they live out the longing, betrayal, and precariousness of family life in the Chicago Jewish culture of the fifties. Rich with period detail, the novel is a fierce exploration of a family that loves deeply, even as they are compelled to destroy. Irwina meets Buddy at the Aragon Ballroom as World War II is beginning. In a woman’s life, there is only one first dance. Buddy sketches their future on a napkin and speaks the words she’s been waiting for: Patou, Schiaparelli, Chanel, Vionnet. He has the walk, the fit, the money. She has the looks, the eye, the dreams. Besides, she’s past thirty and can’t keep living with Ma. They open a Frock Shop—only the big names—and give working-class women dignity and hope. For a while. Enter the demons. For Buddy, it’s vodka, rage, gizmos, and a growing desire to possess his twelve-year-old daughter, Joan, as his wife pushes him away. Irwina loses herself in elaborate store windows, wears mother and wife like a sometimes garment, meets her imagined Unseen Partner in the flesh, and deflects attacks from a jealous Greek chorus of kalooki players known as the women-in-the-building. Only the daughter can see the storm coming. As Joan struggles to hold the family together, she’s given some unusual gifts of survival and must finally choose between all that means home and all that she fears. A funny, sad, relentlessly clear-eyed story that marks the debut of a most gifted writer.